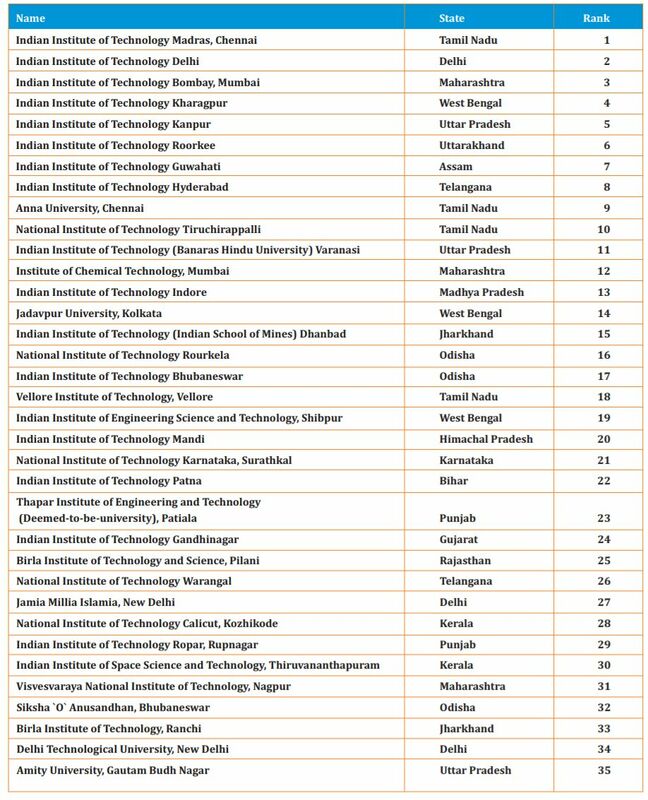 The Ministry of Human Resource Development is happy to announce India Rankings 2019. We are indeed grateful to the Honourable President of India, Shri Ram Nath Kovind, for agreeing to release the India Rankings 2019. 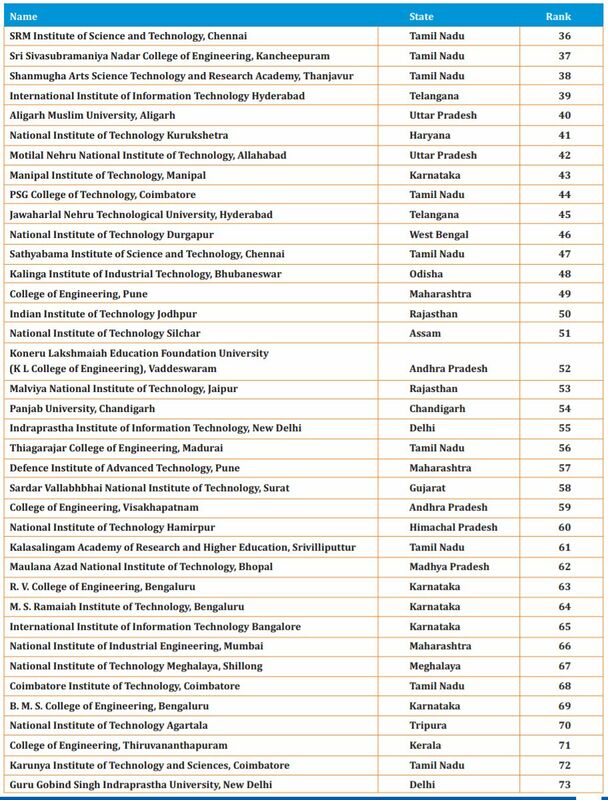 The Ministry of Human Resource Development (MHRD) is happy to present the fourth edition of India Rankings for the year 2019 based on the National Institutional Ranking Framework (NIRF). The fourth edition of India Rankings builds upon the last three annual exercises undertaken between 2016 and 2018 with some improvements. A Round-Table Meeting for India Rankings 2019 (NIRF) was convened under the chairmanship of Shri R.Subrahmanyam, Secretary (HE) at the India Habitat Centre, New Delhi on 8 August, 2018 wherein stakeholders from institutes across various disciplines were invited to participate and provide their feedback on ways and means to improve this annual exercise. 26 participants from 22 institutions attended the workshop. Domain-specific subcommittees were set-up for various disciplines to examine the feedback provided by the participants during the round table meeting. 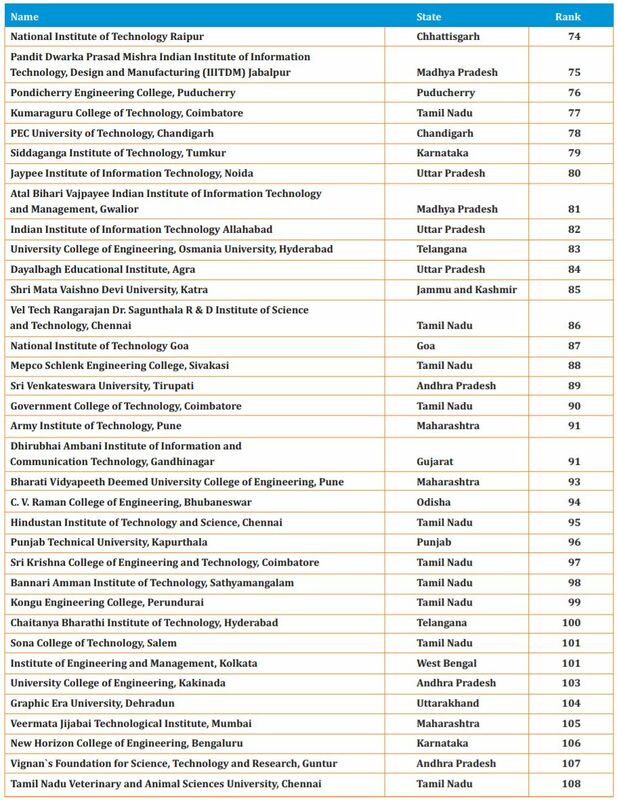 Some of these feedbacks / suggestions were incorporated for ranking of domain-specific ranking of institutions.